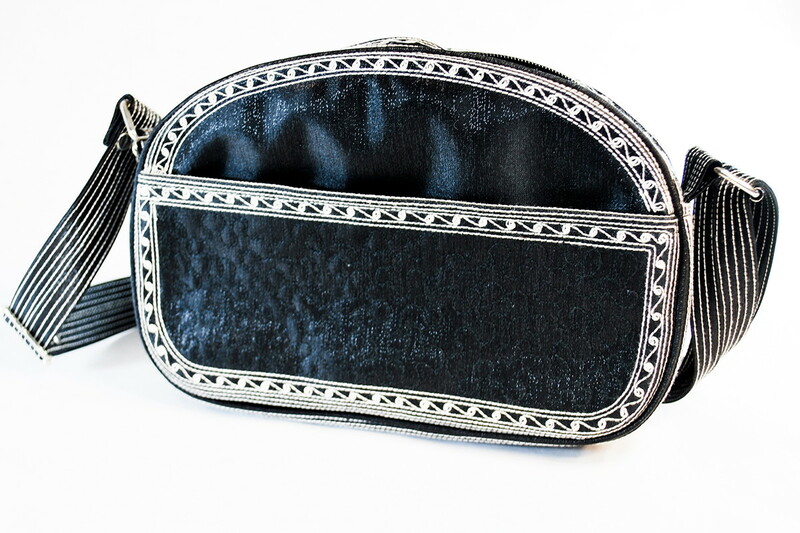 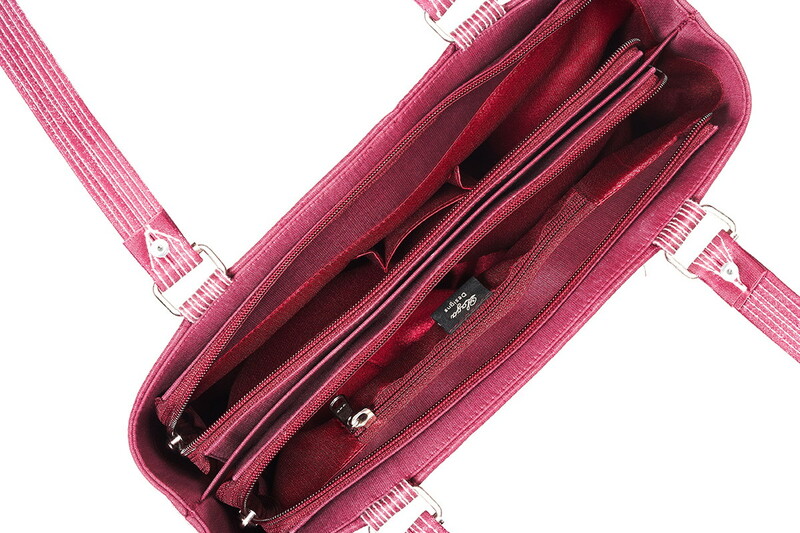 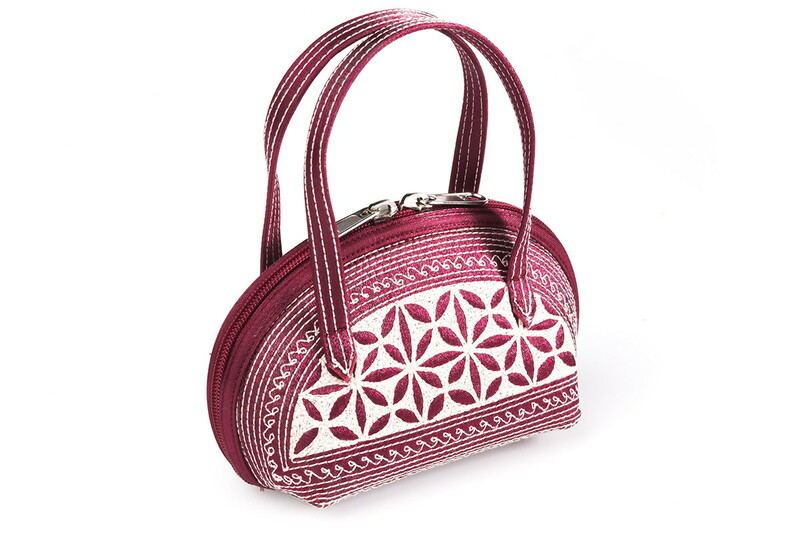 Laga handcrafted free motion embroidered vegan Eyeglass Case If they’re a necessity, carry your eyeglasses with style! 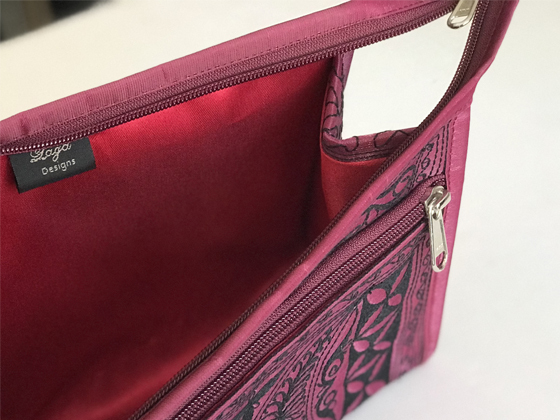 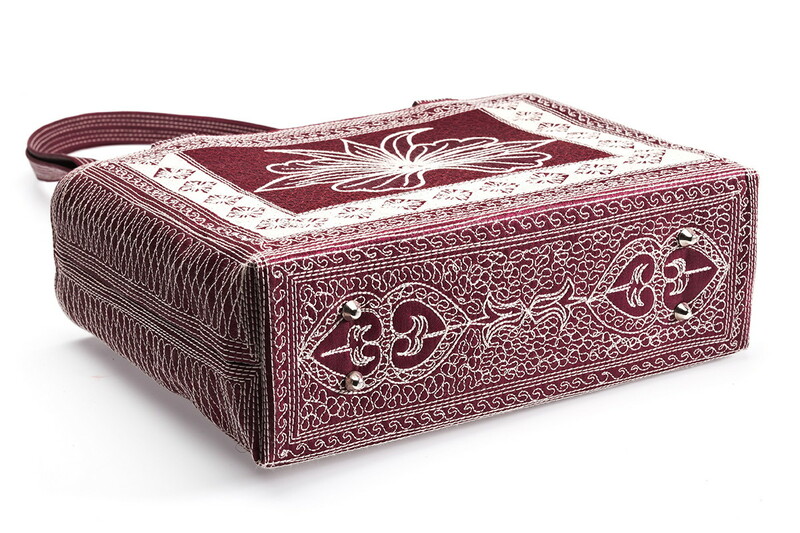 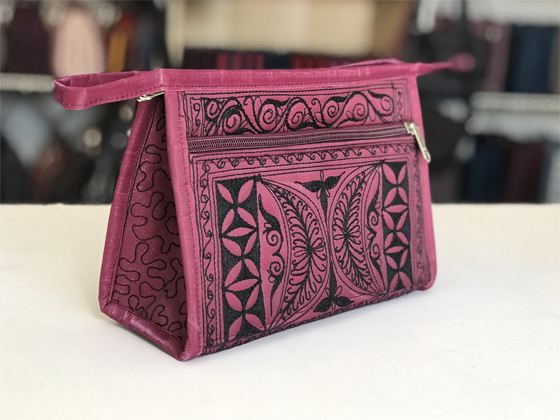 Our Laga handmade Eyeglass Case features the same unique embroidery in traditional Acehnese patterns. 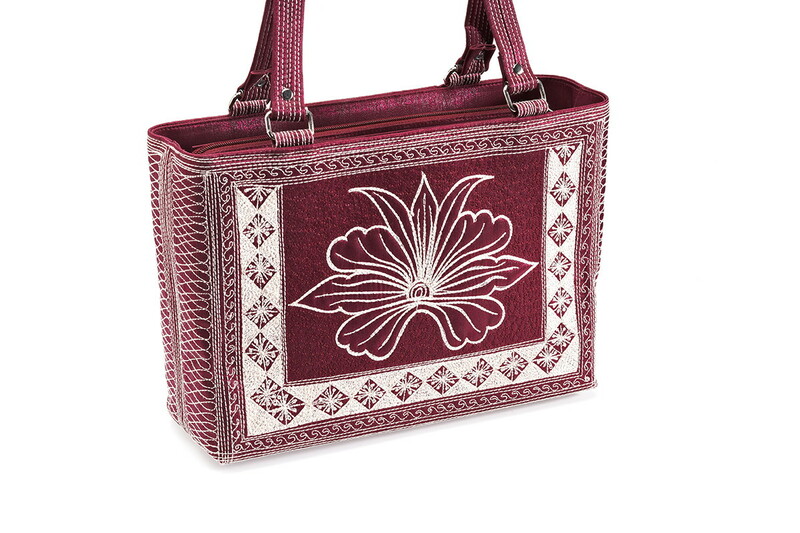 And always stitched on a non-electric pedal-driven sewing machine. 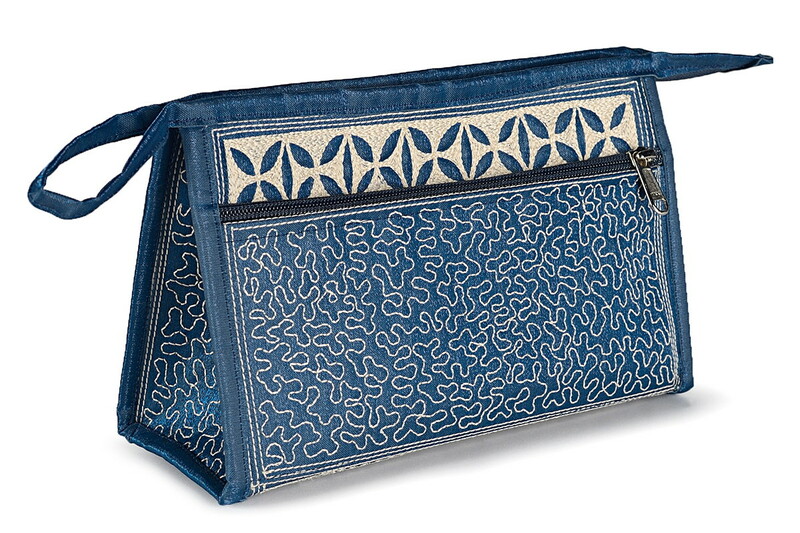 Each Laga Eyeglass Case is embroidered with the highest quality nylon polyester embroidery thread on sturdy nylon polyester fabric. 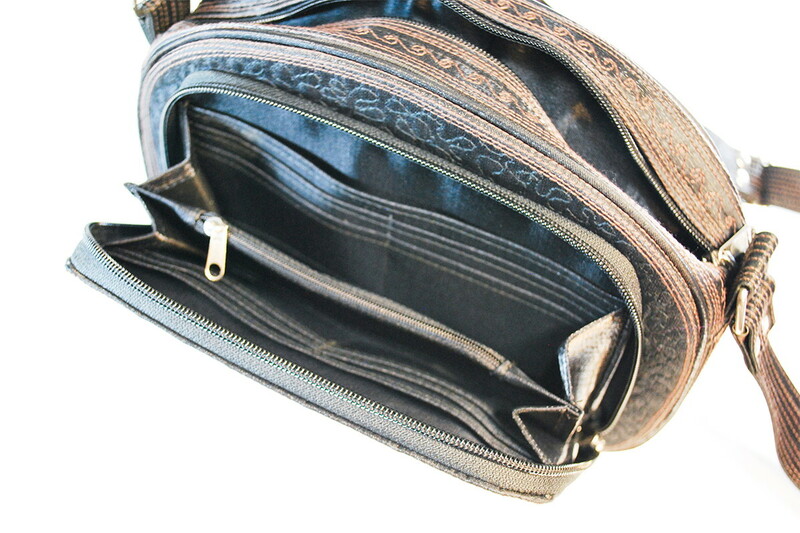 As all of our Laga products, it is water and stain resistant and it has the the same luxurious silk satin lining. 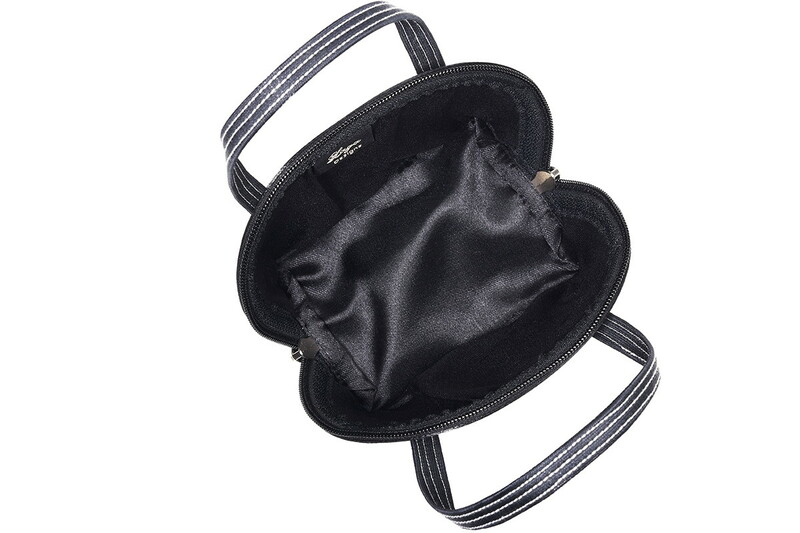 Designed to fit reading glasses as well as sun glasses.